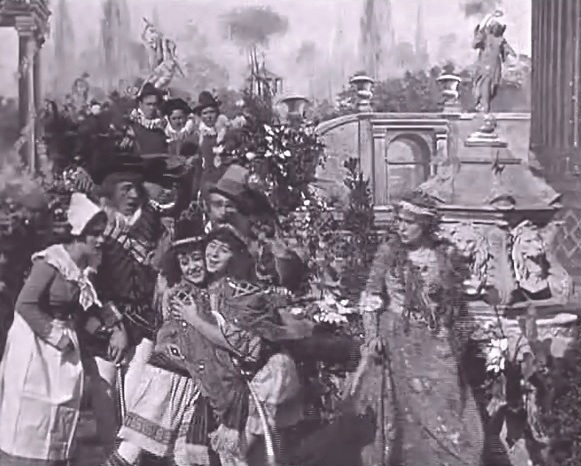 "Twelfth Night" (1910), produced by Vitagraph and directed by Charles Kent, is a short film based on the comedy of Shakespeare. Viola seems in trouble and doesn't know how to dissipate the tension in the air, but gets help from an unexpected source. All of a sudden her twin brother, thought lost at sea, shows up. All identities are revealed, all misunderstandings sorted out and everybody finds someone to love. 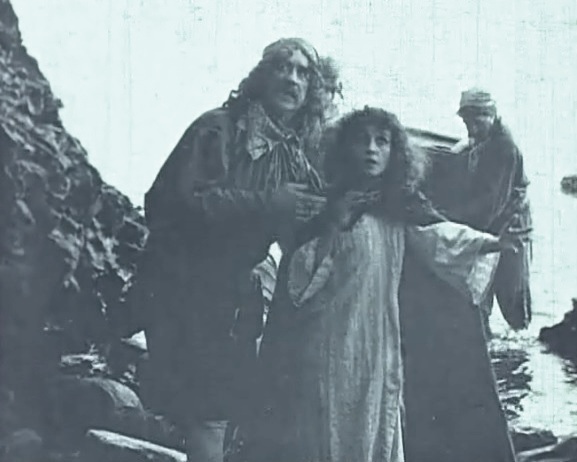 Florence Turner is saved from a shipwreck in "Twelfth Night" (1910). 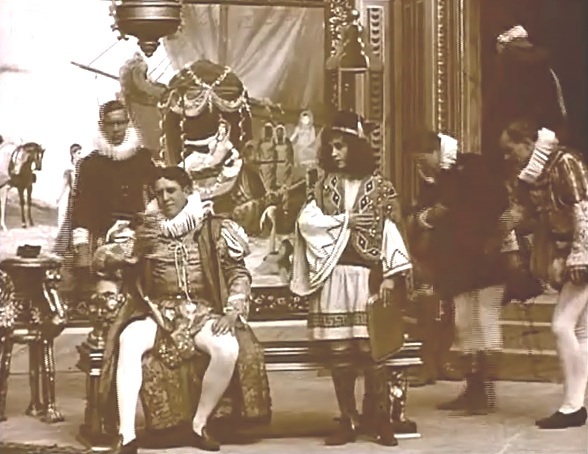 Florence Turner in man's clothes serves the duke in "Twelfth Night" (1910). 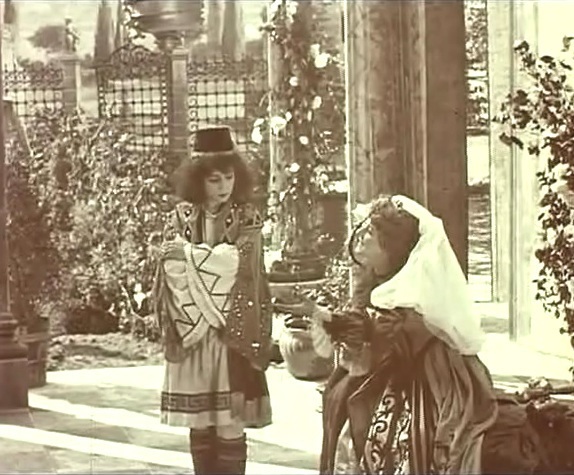 Florence Turner is asked by the duke to take a message to his love interest in "Twelfth Night" (1910). Florence Turner gets a lot of attention from duke's love interest in "Twelfth Night" (1910). 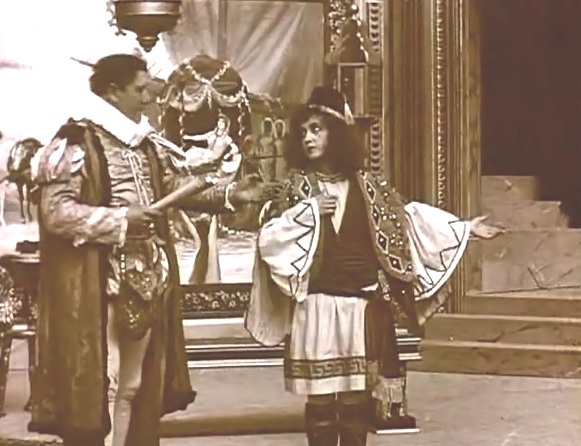 Florence Turner gets some more attention from duke's love interest in "Twelfth Night" (1910). 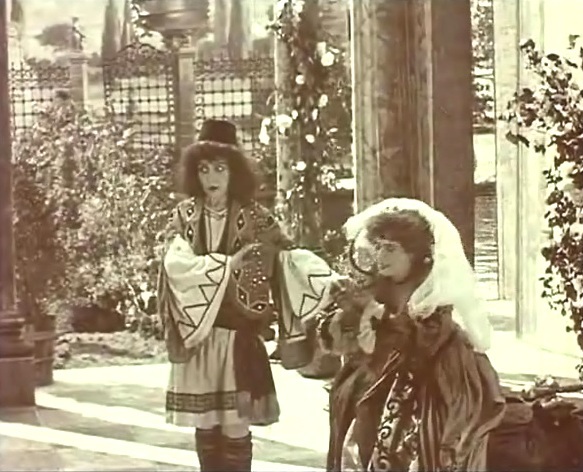 Florence Turner reunites with her twin brother in "Twelfth Night" (1910).